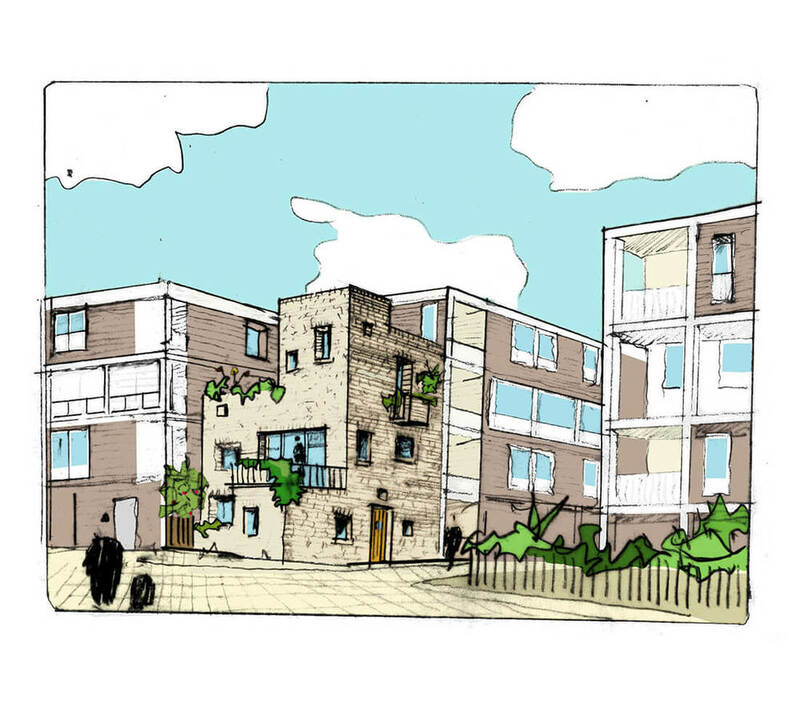 Peter Barber Architects are working on the refurbishment/part demolitions and the design of infill housing within two large post war housing estates in Camden. 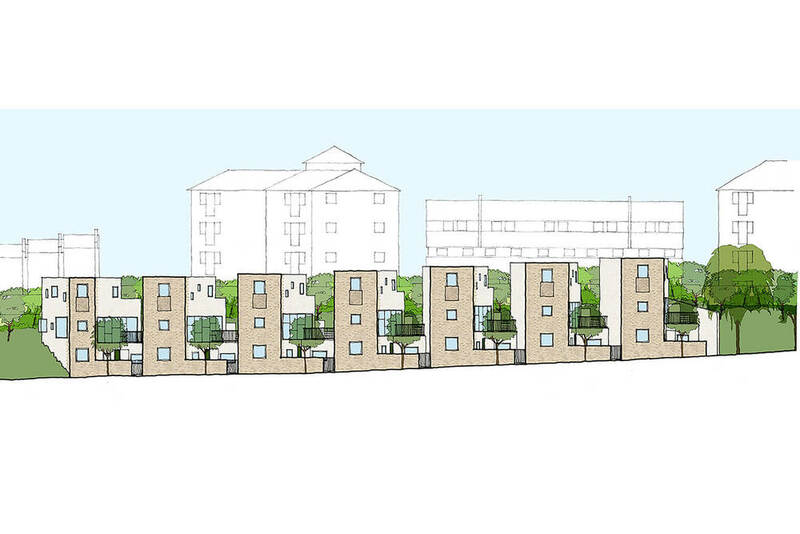 A series of proposals create new, low rise, intimately scaled streets to improve connectivity across the estates, overlooking of public space and security. 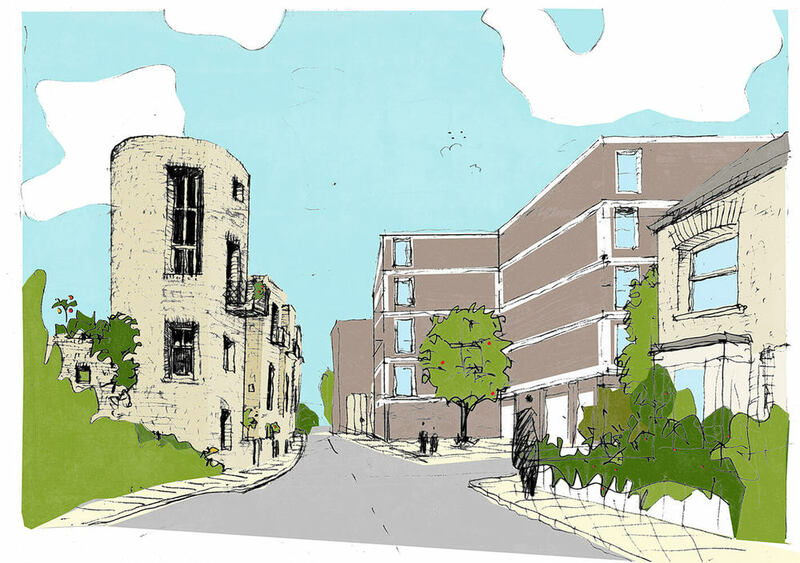 Most importantly, the proposals aim to retain the majority of existing homes on the estates, allowing residents and their established community to stay put, refurbishing existing well-loved homes to provide much needed improvements to heating, plumbing and drainage, as well as creating a series of beautiful new streets through the estates. New rows of intimately scaled mews reinforce the edges of public spaces, with new high quality landscaping and removal of existing decks to bring routes through down to street level.